Welcome to the 8th Season Premiere of the Vision High School Sports Beat, and the inaugural edition of the Sports Beat Insider – your behind the scenes look at the production, from the producer and the shows many contributors. 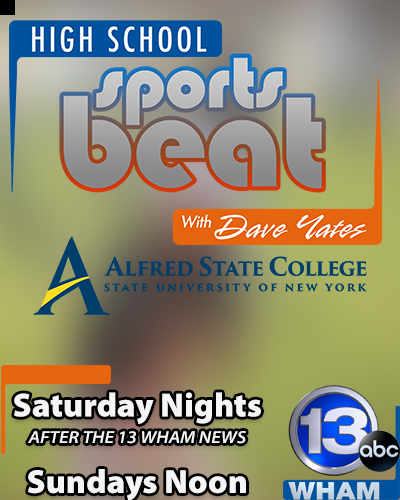 The High School Sports Beat is hosted by Dave Yates, who you may know from his years with WROC in Rochester, or WETM in Elmira. Dave has been a part of the Classy Wolf family of shows for a few years, first as a contributor on the Sports Beat, and as a guest and fill-in host on the Press Box. He also hosted the Fidelis Care College Sports Beat, which aired 50 episodes beginning in February 2016. Dave is a great guy, and someday we’ll share some of his outtakes and bloopers… let’s just say, the show is a fun-filled affair with Yates around. We begin this week’s episode with a look at the Eastridge Lancers Field Hockey team. Full disclosure, Mr. Yates is the communications director for the East Irondequoit School District, so he is very familiar with the Midnight Madness tradition at Eastridge. This is the 11th year Dave has been a part of it. It was my first. And it was a lot of fun. I didn’t anticipate the costumes – it was a great way to kick off the season, and I can see why the players love it so much. Next up on the show is the Dunkin Donuts High School Notebook. This interview segment features Paul Gotham, from PickinSplinters.com – and if you haven’t checked out Pickin Splinters yet, now is a good time. Paul and his team have some great coverage of Section V sports, as well as the Red Wings, Amerks, RIT, MCC and more. Paul’s site is getting bigger all the time, and now includes football coverage this fall. The third segment of the show features 3 sections – Making the Grade, the Section V Spotlight and the Top 5 Football Plays of the Week. Over the 7 previous years of the High School Sports Beat, the show has evolved and changed. The Spotlight section replaces our weekly countdowns of teams and athletes, as well as our calendar of events, and provides a space where we can call attention to the on-field achievements of teams, players and coaches, as well as keep everyone updated on how some Section V alums are doing at college. Varsity Media covers a ton of sports in Rochester, and has been a part of the Sports Beat since the very beginning. 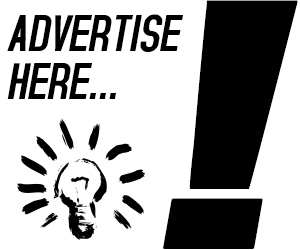 In fact, it was the relationship with Ben Turchin and Varsity Media, that led to the creation of the High School Sport Beat. Ben had previously hosted SEVideo Gametime, a show that inspired Jeff Baron and I to want to try our own high school sports show. With Varsity Media’s access to Section V football coverage, it seemed like a no-brainer to do a highlight show. Our final story of the week is with the Greece Athena Trojans. The boys soccer team and Coach Mike Butler were set to embark on a bus trip to NYC, and nearby Newark, NJ, to play against the number 1 team in the country, St. Benedict’s Prep. Paul Gotham, as part of his coverage with Pickin Splinters, was going on the bus with the team. A golden opportunity for the Sports Beat to do the kind of story that we love to do… getting outside of the norm, and seeing a side of high school sports that you don’t see anywhere else. Paul, armed with camera in hand, went with the team to Times Square, and some NYC hot spots, like the NBA store. All was going according to plan. The Trojans got to experience some of the Big Apple, and bond as a unit. Then, the east coast heat wave hit. The game was cancelled. Our story lives on though. And that’s a wrap on our 8th Season Premiere! Be sure to check out the full episode – and tune in Every Saturday night on 13 WHAM after the late news, and on Sundays at Noon. We leave you this week, with an Insider weekly feature – looking back at some of our stories from the past 7 years. From November 9, 2011 – a Class AA Sectional Championship football match-up between the Pittsford Panthers and the Rush-Henrietta Royal Comets. Featuring such top section V talents as Chauncey Scissum and Dominick DeLucia – and a terrific post-game speech by Pittsford Head Coach Keith Molinich.